MTN Nigeria has release two new cheap call tariff plans called MTN XtraPro and XtraSpecial. This suppose to have come before now. This came up after MTN discontinued one of its old call tariff plan called MTN trueTalk. The two new call tariff plans was introduced by MTN to able its subscriber make calls at an affordable rate. Here is all you need to know about MTN XtraPro and XtraSpecial. MTN XtraPro is a new MTN tariff plan that will allow you make call at 11k/sec (6.60k/Min) on flat rate to all network with a daily access fee of N5. The N5 is usually taken right from first call of the day. If MTN did not charge you N5 on your first call maybe as a result of insufficient balance, then the call for that day will be charged at 20k/Sec (N12/Min) with an additional benefit to health tips for 7 days. To migrate to MTN XtraPro, simply dial *401# and select 1 to migrate OR send 401 to 131; this is migration code. To opt out of MTN XtraPro, simply migrate to other MTN Call tariff plans like MTN Smooth talk plus, MTN SuperSaver plus, MTN iPulse etc. MTN XtraSpecial is another new MTN Call Tariff plan. In this call tariff plan customers are charge at a flat rate of 15k/Sec (N9/Min) to all networks in Nigeria with no daily access fee and a call to some selected international destination at the same rate above with an additional benefit of 7 days free subscription to EPL Video Service. To migrate to MTN XtraSpecial, simply dial *408# and select 1 to migrate OR Send 408 to 131, this is migration or subscription code. To opt out of MTN XtraSpecial, simply migrate to other MTN call tariff plan as I mentioned above. Please Note: Migration to any MTN call tariff plan within a month is free but subsequent migration to any other plan before 30 days of your last migration to your current plan attract charges of N100. 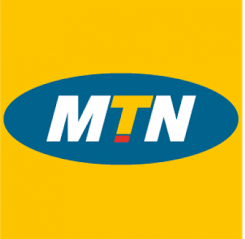 Check out; the latest MTN data plans. Previous PostAll Banks recharge Codes for mobile phone Airtime Top-upNext PostMTN 1GB for N500 – MTN Newest data plan!! !